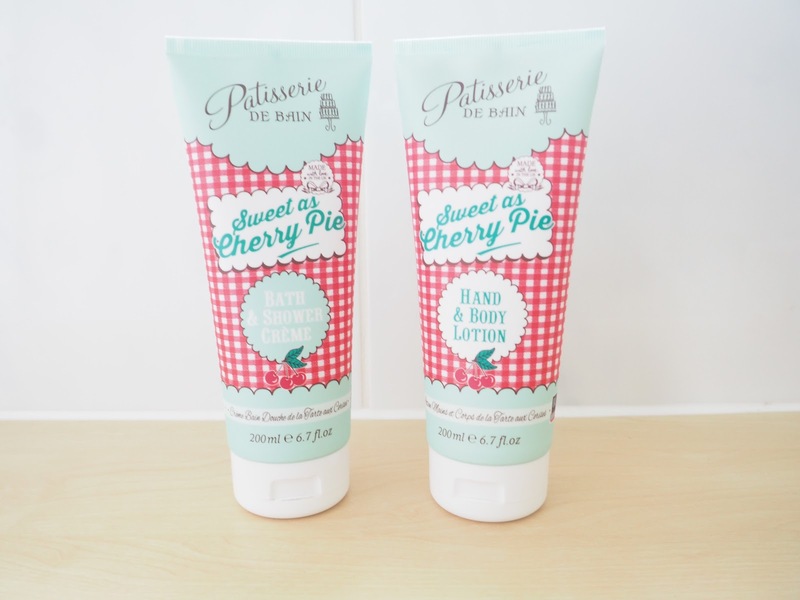 Recently I was approached by a lovely lady called Abbi, asking if I fancied being sent some sweet products from Patisserie de Bain and obviously I jumped at this chance because all of their products sound right up my street! I'm obsessed with sweet, fruity and floral scents so this was a no-brainer for me really! 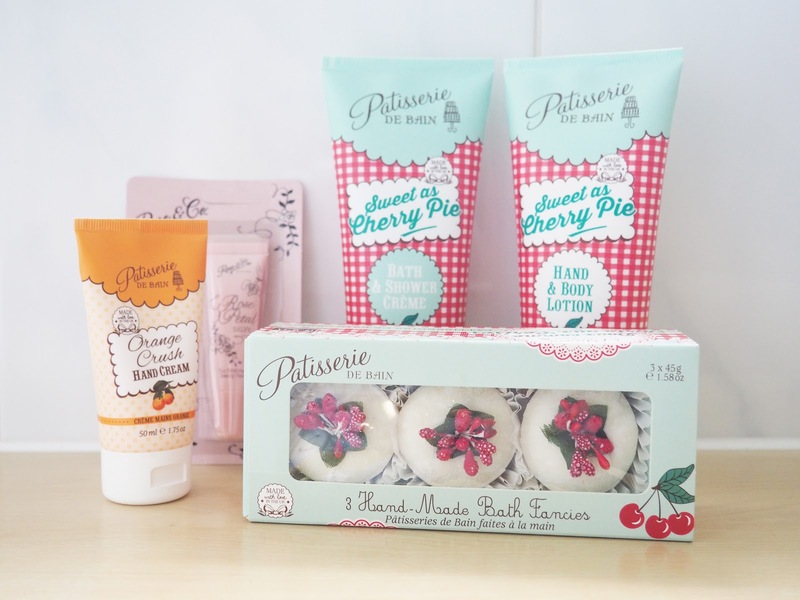 I received a Bath and Shower Creme, Body Lotion, Hand Cream, Bath Fancies/Melts and a Lip Salve. All in difference fruity scents! 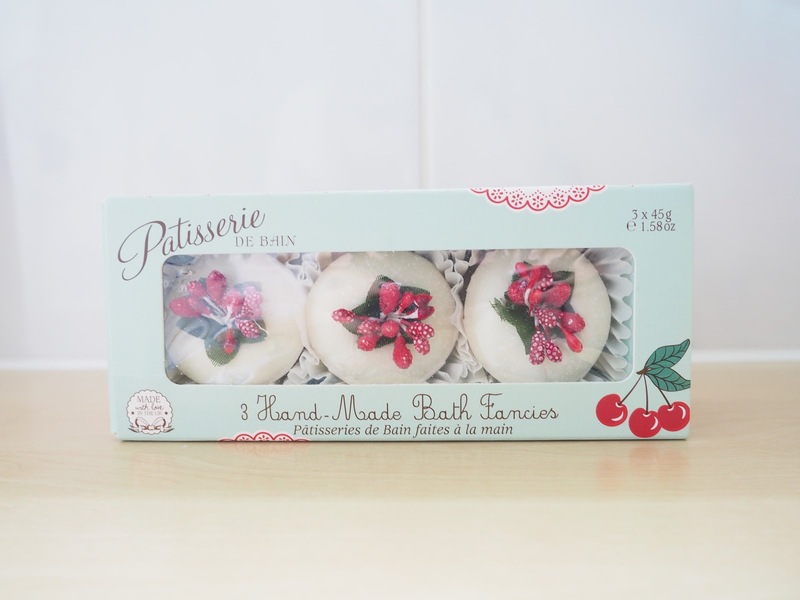 When I opened the package and saw these bath melts, I immediately noticed how pretty they were and thought 'I don't want to use these because they're too pretty!!'. The design of them is super cute and they look good enough to eat! When I dropped one of these into the bath it did dissolve quite slowly (as advised on the website), but it left my skin feeling so incredibly smooth because of the cocoa and shea butter mixed with the almond oil. Not to mention I smelt like cherries - amazing! I also received a body lotion in the same sweet cherry scent as the bath melts above. The cherry smell is very strong and can be a little over-powering/sickly, so I would maybe stay away if you can't stand the smell of cherry or strong scents, but I don't mind strong scents as it just means that you smell nicer for a longer period of time! I don't tend to try out different body lotions because I'm really funny with them being too thick as I hate being sticky, but I obviously gave this one go and I did quite like it! It is thick in consistency and does take a little bit of work to massage into the skin, but because of this it's extremely hydrating. I was most excited about receiving a bath/shower creme because you can never have too many, right?! You get a lot of product in the large tube and for a great price! Again, the scent is quite strong but I love this because I still smell like cherry once I'm dry and out of the shower. The creme lathers up on a shower puff really well and a little does go a long way, so this shower creme will definitely last me quite a while. I have only tried this hand cream once, due to the fact that I'm intolerant (I know, first world problem..) to Orange. 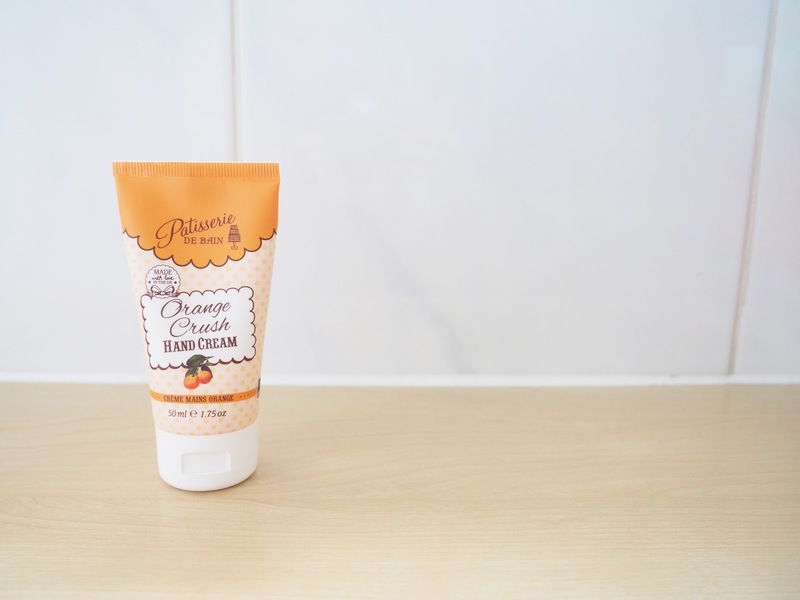 It's a pretty standard hand cream that is fairly thick and very hydrating and I do actually like the smell of orange so this scent was really lovely. As far as hand creams go, this one's a good'un! I will definitely purchase another hand cream from the range in a different scent for sure. 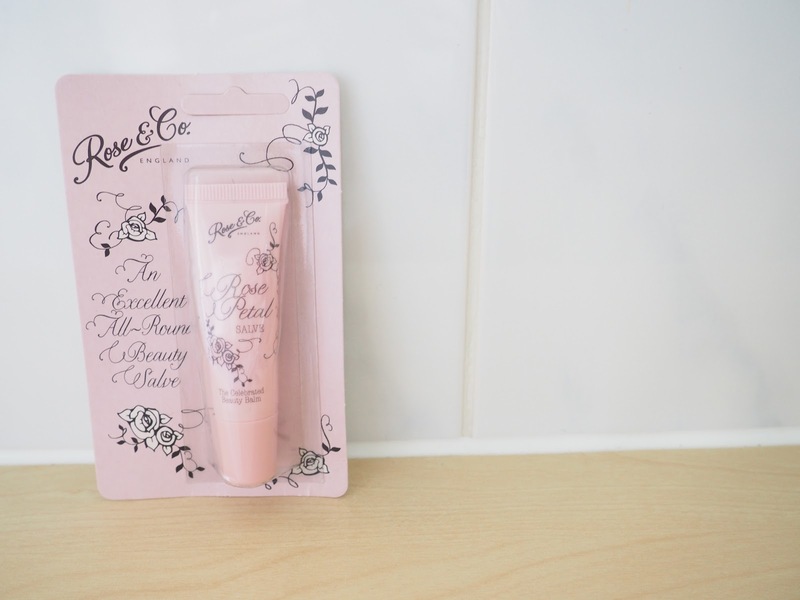 Lastly, I received this really pretty lip balm from Rose & Co. I love the design and the scent is really lovely! This is a multi-use salve that can be used on lips, cuticles, rough skin, dry patches, lashes and brows - which is awesome! I really like the slightly thicker consistency because when I wake up in the morning, my lips feel super hydrated! The application is also perfect because you don't have to use your finger as the tip of the tube is shaped to make application to your lips easy.